Background: I graduated from Cornell University in 1997 with a PhD in Applied Linguistics and a minor in Cognitive Studies. I have held positions at University of Minnesota, Penn State University, and University of Texas-Austin. Research: As a faculty member in the Department of Spanish, Portuguese and Latin American Studies at Rice University, I conduct research in a number of areas associated with the field of second language acquisition/development. 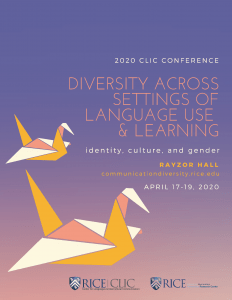 As Director of Research at the Center for Languages & Intercultural Communication (CLIC), I work with the postdoctoral fellows at the center on a number of topics related to Interactional Competence, Language Testing, and other areas central to research on L2 acquisition and teaching. Currently, I am on the Editorial Board of the peer-reviewed journals Language@Internet and Journal of Spanish Language Teaching, and on the International Advisory Board of ILCE (Instituto de Lengua y Cultura Españolas) at Universidad de Navarra (Spain). Development of morphological, syntactic and discursive knowledge of tense and aspect in second language (L2) acquisition. This topic is covered by five books published by John Benjamins (2000, 2002, 2005), Bloomsbury Press (2008), de Gruyter (2013) and several journal articles and refereed book chapters. Second language acquisition/development. 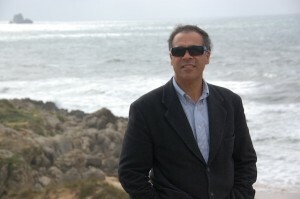 I address this topic in two books published by Georgetown University Press in 2003 and in 2006, an 2019 book titled Teaching and Testing Interactional Competence (Routledge), a 2019 Special Issue of the journal Study Abroad Research in Second Language Acquisition, and other refereed articles/chapters. Bilingualism/bilingual education. This is a topic covered by a book on language allegiances published by Multilingual Matters (2009) and articles/chapters on third language acquisition and social-political views on language. Effects of new media and technologies on language use and language acquisition. I have published several articles on this topic in various journals such as CALICO, Computer Assisted Language Learning, Language Learning & Technology and The Modern Language Journal. Second language learning/teaching. I created an online module with an overview of teaching methodology applied to grammar for the Foreign Language Teaching Methods course housed at UT-Austin. I am also the author of a Spanish first year textbook Conectándonos (Kendall-Hunt). Teaching: I am currently developing a new course to be offered in 2020: Thought and Language, and I am now teaching Language Ideologies/Identities. Other courses I have taught: Introduction to Spanish linguistics, Dialects in Contact, History of Spanish, Theories of L2 acquisition, Cognitive approaches to L2 acquisition, Bilingualism, and L2 assessment and testing. Life outside the university: I was born in Uruguay not too long ago. I am married to María José Tort, who works in clinical research. We have two sons, Julián and Lucas.